Cleansing cotton wool pads to use with the Calmin Ultra Mild cleanser for removal of dirt, make up and irritating impurities from the face. Anti linting composition less likely to catch in stubble. 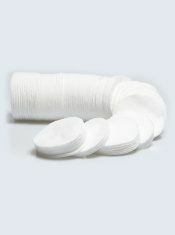 Pack of 100 cleansing discs.